States can act as links. 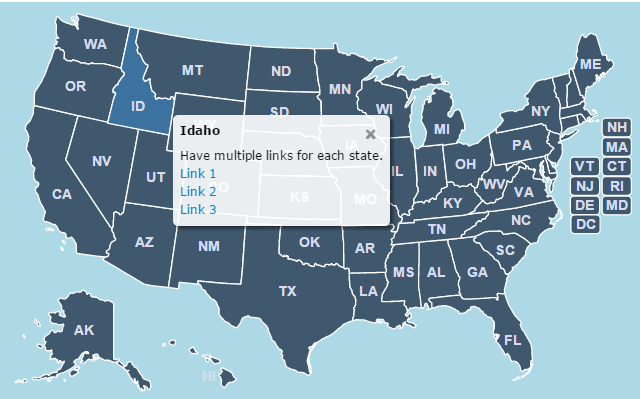 Click on a state and go to a specific url. 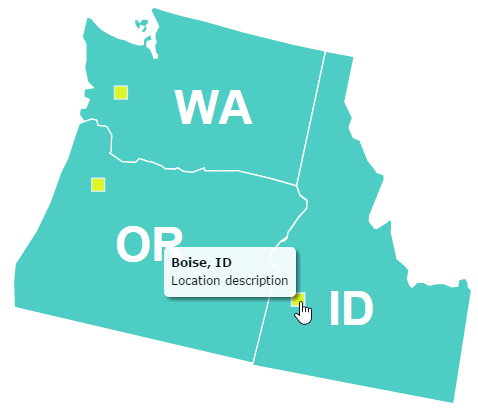 Use the map to simplify your websites user interface. Below are a few screenshots illustrating how you can use the US map. Click through to see a live demo. Or, view all examples. 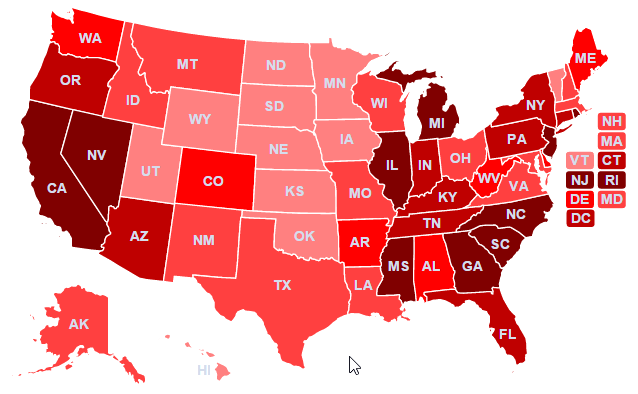 Easily create a heat/intensity map to visualize data. Create custom regions that are zoomable or clickable. Show popups upon click to embed multiple links within a description. Easily display United States Territories on the map. Does this map use Adobe Flash? No, this map replaces the Flash USA map that we used to sell. At this point, Flash is a dying technology and we have deprecated our Flash maps. Does the map include U.S. Territories? Yes! Although hidden by default, the U.S. 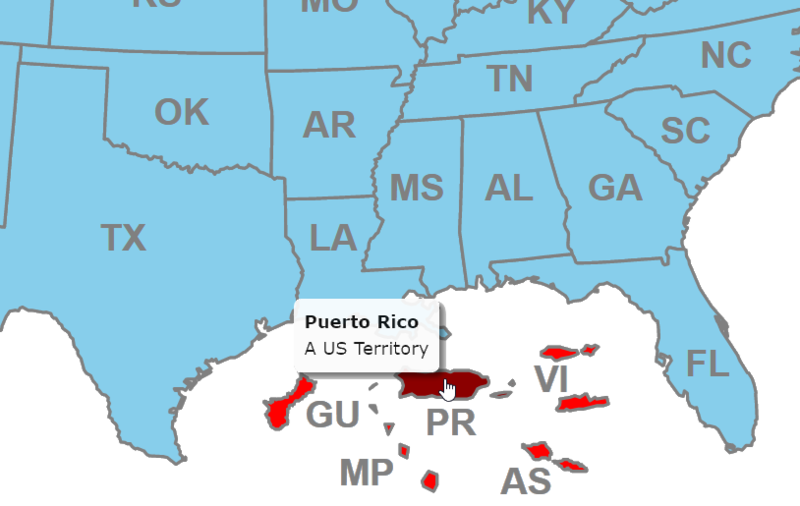 Territories of Guam, the Virgin Islands, Puerto Rico, American Samoa and the Northern Mariana Islands are included in the map for no additional charge.